Family history brick wall: who was Luke O’Grady? One of my great-grandfathers was Frank Corr a.k.a. Frank O’Grady (1888-1962) of Birmingham and Sheffield. I’m trying to confirm the origins and discover the fate of his biological father Luke O’Grady, my great-great-grandfather. What follows is an outline of the life of Frank O’Grady/Corr, notes on the identity of Luke O’Grady, and my ideas for further research. Paul Harland Stainthorp (paul@paulstainthorp.com). Version 1.7.3, updated 15th June 2016. 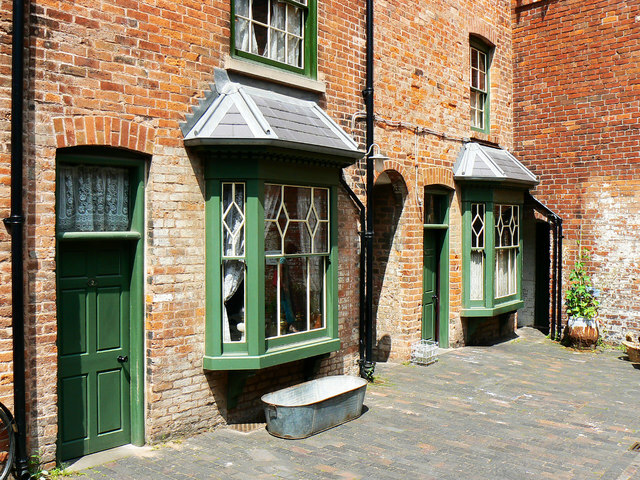 A rare preserved example of the thousands of back-to-back courts that used to provide housing for workers and their families in the years of the 19th and 20th centuries. This use of the surname O’Grady for or by Emily must have been a common-law arrangement, or else a polite fiction on behalf of Luke O’Grady for the registrar’s benefit: there is no record of a marriage between Emily and anyone named O’Grady, and Emily never used the name again. It seems that Emily could not read or write;5 perhaps that’s why she didn’t register the birth herself. After this point my great-grandfather Frank used Corr exclusively as his adult surname. 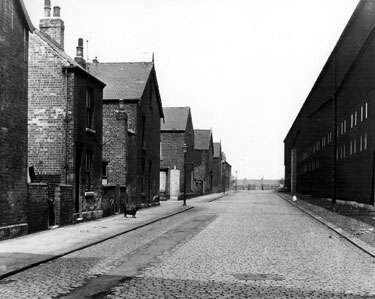 Blaco Road looking towards the gates of Carbrook Park, showing No. 5. 25th April 1966. Photographer: H. Ainscough. Taken at a family wedding in 1946. Frank Corr died on 19th January 1962 and was buried with his wife Lily in Tinsley Park Cemetery in Sheffield.9 He didn’t leave a will. Frank and Lily’s seventh child was my maternal grandfather Harold Corr (1921-1999).1,13 A career soldier, Harold served in WWII, Korea, Hong Kong and Germany before leaving the Army and settling in Lincolnshire in the 1960s. Harold Corr and my grandmother Ruby née Howson had six children and fifteen grandchildren including the author of this document. Jane Grady died in 1878 and William in 1884,2 so Luke was pretty much alone in the world by the time of Frank O’Grady’s birth in 1888. There isn’t a single record of “Wolverhampton Luke” Grady in England after 1881: no marriage or death entries and no census or employment records. His proximity and family ties to the Corrs, along with the suspicious timing of his disappearance, all suggest strongly that he is Frank’s father. However I have no positive evidence to connect him with the Black Country glass industry or to place him in Birmingham in 1888. I’ve also been unable to trace the fate of all of Luke’s siblings – what happened to them all after they lost their father in 1884? Francis P. O’Grady was born c. 1st March 1893, possibly in Ireland, although no birth or baptism records have been traced for him. When he married in England in 1925, and again (having been widowed) in 1930, he gave his father’s name as Luke O’Grady, occupation ‘house decorator’. According to a family story, Francis’s father Luke O’Grady left his wife Mary Ann [maiden name unknown] and their young son, to travel with Buffalo Bill’s Wild West show, and may have had one or more children with another woman. Francis P. O’Grady apparently grew up in Ireland and England, had an adopted / step-sister called Mona, and a cousin (either paternal or maternal) named Sammy. When Francis’s mother Mary Ann O’Grady died in 1940 she was recorded as being the widow of Luke O’Grady, house decorator (master). It is possible that the same Luke O’Grady was the father of both Frank O’Grady/Corr and Francis Patrick O’Grady, making them half-brothers. Even if this is not the case, “Buffalo Bill” Luke O’Grady seems to have been just as elusive—both before and after the birth of his son—as ‘my’ Luke O’Grady. 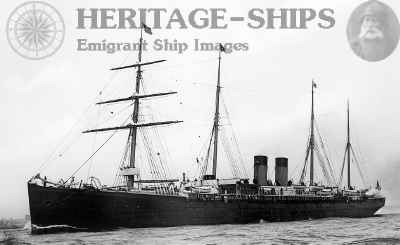 White Star Line steamship, built 1874 at Belfast by Harland and Wolff, as she appeared before her funnels were lengthened and an extra deck added in 1895. I have been unable to trace “Germanic Luke” O’Grady in England before 1888 or in the USA after naturalization in 1894. He does not appear in any of the US censuses as far as I can tell. So: did Luke Grady of Wolverhampton emigrate immediately after his son’s birth in 1888? Was he the father of Francis P. O’Grady as well as Frank O’Grady/Corr? Or were these Luke [O’]Gradys two or three different people (in which case: what happened to them all, and to “Wolverhampton” Luke’s remaining siblings?). Track down more records from Frank’s own life – there is at least one other descendant of Frank Corr who is researching the family history. Buy birth, marriage and death records as needed for Emily Farley, Edward Corr, Emma Farley, Charles Tillbrook and all of Frank’s half-siblings (est. cost: £150+). Buy copies of “Wolverhampton Luke” Grady’s birth certificate and his parents’ marriage & death certificates (est. cost: £37). Try and determine the fate of “Wolverhampton Luke” Grady’s brother and four sisters. Search the UK censuses for glass embossers in 1891, in the possibility that Luke O’Grady changed his name but continued in the same occupation. Find out who lived at 2 Back 135 Brearley Street, Lozells, Birmingham, immediately before and after Frank’s birth in 1888. Determine the whereabouts of “Holbeach Luke” Grady in 1888, if only to rule him out. Share all information with anyone who is researching the identity of Luke the father of Francis Patrick O’Grady; in particular for possible records of Luke O’Grady living with a wife Mary Ann in Ireland, and/or as an employee of Buffalo Bill’s Wild West show in the early 1900s. 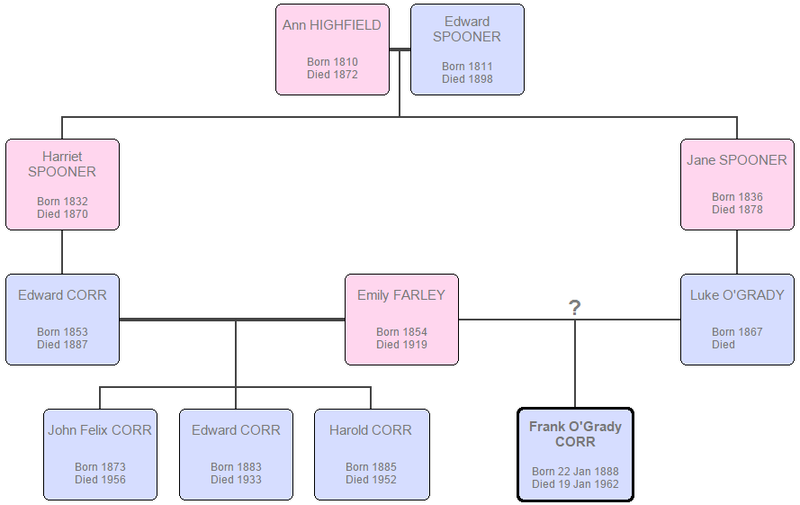 Trace any living descendants of Emily Farley’s children Frank Corr, John Felix Corr, Alfred Edward Corr, Edward Corr jr and Harold Corr, and those of William Grady of Wolverhampton. Look for records of Luke [O’]Grady in Ireland and Scotland both before and after 1888. Investigate Y-chromosomal DNA testing between a living male-line descendant of Frank Corr (there are four in my immediate family) vs. a proven patrilineal descendant of William Grady if one can be found. There are no such descendants. Contact local family history societies in the Black Country/Birmingham area (e.g. the Birmingham and Midland Society for Genealogy); also surname special interest groups for Grady/O’Grady. Visit the Birmingham Archives, Black Country Museum, and Broadfield House Glass Museum in Stourbridge, specifically to look for documents from the Black Country glassmaking industry – are there apprenticeship records for Luke O’Grady or is he otherwise mentioned? Visit New York to try and find out what happened to “Germanic Luke” [O’]Grady who became an American citizen in 1894. Look for evidence of emigration other than to New York in 1888: not necessarily to the USA. England and Wales, birth certificate (certified copy) (General Register Office, Southport). “FreeBMD” (digital images, FreeBMD, http://www.freebmd.org.uk/ : accessed 29 March 2016; citing General Register Office, Southport). “1881 England Census” (digital images, Ancestry Library Edition, http://www.ancestrylibrary.com/ : accessed 7 ‎July ‎2015; citing Census Returns of England and Wales, 1881, The National Archives, Kew). “Birmingham, England, Church of England Marriages and Banns, 1754-1937” (digital images, Ancestry Library Edition, http://www.ancestrylibrary.com/ : accessed 3 March 2014; citing the Library of Birmingham). “1891 England Census” (digital images, Ancestry Library Edition, http://www.ancestrylibrary.com/ : accessed 7 ‎July ‎2015; citing Census Returns of England and Wales, 1891, The National Archives, Kew). “1901 England Census” (digital images, Ancestry Library Edition, http://www.ancestrylibrary.com/ : accessed 7 ‎July ‎2015; citing Census Returns of England and Wales, 1901, The National Archives, Kew). “1911 England Census” (digital images, Ancestry Library Edition, http://www.ancestrylibrary.com/ : accessed 7 ‎July ‎2015; citing Census Returns of England and Wales, 1911, The National Archives, Kew). “National Burial Index for England & Wales” (database, Findmypast, http://search.findmypast.co.uk/ : accessed 15 October 2015; citing Federation of Family History Societies). British Army medal index cards (digital image, The National Archives, http://discovery.nationalarchives.gov.uk/ : accessed 3 March 2014 citing War Office, Service Medal and Award Rolls Index, First World War, ref. WO 372). England and Wales, marriage certificate (certified copy) (General Register Office, Southport). Stainthorp family artefacts (privately held by Paul Harland Stainthorp, 2016, Horncastle, Lincolnshire, England), personal email. England and Wales, death certificate (certified copy) (General Register Office, Southport). “1871 England Census” (digital images, Ancestry Library Edition, http://www.ancestrylibrary.com/ : accessed 7 ‎July ‎2015; citing Census Returns of England and Wales, 1871, The National Archives, Kew). The Birmingham Post (digital images, 19th Century British Newspapers, http://find.galegroup.com/bncn/ : accessed 17 June 2015). “UK, Railway Employment Records, 1833-1956” (digital images, Ancestry Library Edition, http://www.ancestrylibrary.com/ : accessed 3 March 2014; citing Railway Employment Records, The National Archives, Kew, ref. RAIL 264 and RAIL 397). “New York, Passenger Lists, 1820-1957” (digital images, Ancestry Library Edition, http://www.ancestrylibrary.com/ : accessed 3 March 2014; citing Records of the U.S. Customs Service, Record Group 36, National Archives at Washington, D.C.). “New York, Petitions for Naturalization, 1794-1906” (digital images, Ancestry Library Edition, http://www.ancestrylibrary.com/ : accessed 3 March 2014; citing Records of the Immigration and Naturalization Service, Record Group 85, National Archives at New York City). Hyperlinks in the text of this document point to source documents and catalogues/indexes which contain or illustrate the information referenced. Where possible I have linked to free & open sources (FreeBMD; catalogue/archival records). In other cases where the source is not freely available, I have linked to a record within Ancestry Library Edition: these links will display an error message unless you first establish a session on Ancestry within a subscribing library building (e.g. in Lincolnshire).